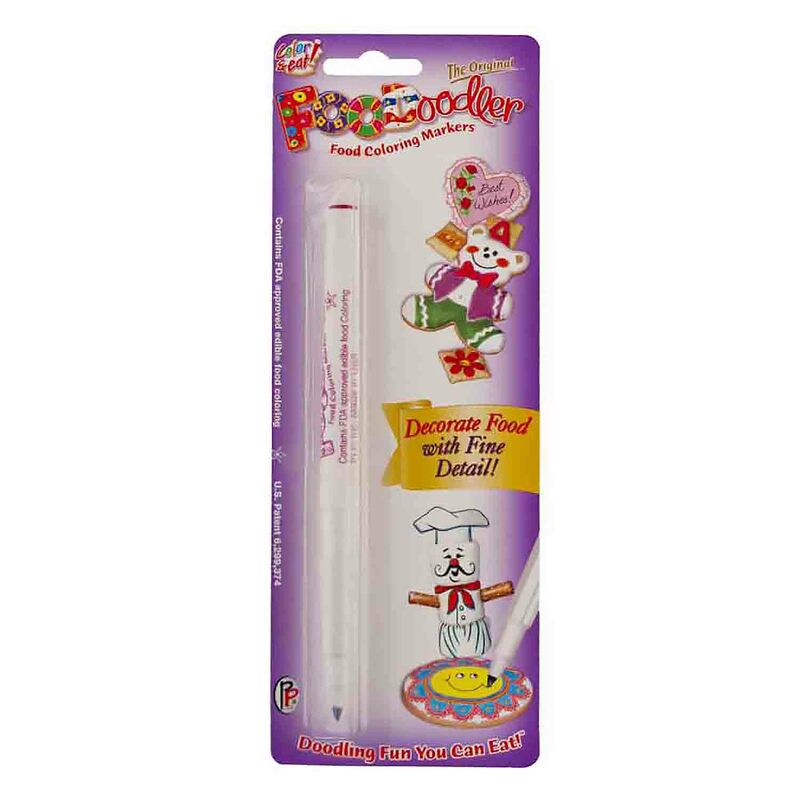 PLP-F1PR Units: 1 pen Use food color markers to create fine lines and details. For best results, draw on foods that have a smooth dry surface. Contains FDA approved edible food coloring. They can be used again and again! Draw on peach fuzz, banana peels, mini carrots and mushrooms. Use a stencil to outline a scene on a roll, bagel or pita bread and color in the details. Use for cake decorating. Doodle on bread sticks or color in the waffle grid of ice cream cones. When done using, wipe tip clean with a damp paper towel and replace cap. Please note: This marker has the same tip as Wilton's "Extra Fine" markers, item #609-105. Use food color markers to create fine lines and details. For best results, draw on foods that have a smooth dry surface. Contains FDA approved edible food coloring. They can be used again and again! Draw on peach fuzz, banana peels, mini carrots and mushrooms. Use a stencil to outline a scene on a roll, bagel or pita bread and color in the details. Use for cake decorating. Doodle on bread sticks or color in the waffle grid of ice cream cones. When done using, wipe tip clean with a damp paper towel and replace cap.